Luxury frontline beach apartment 110M2 with stunning views on the sea, the beach, the promenade and the pool. South-West oriented. 2 beds-2baths. Sleeps 4-8 people. Hotelservice. This apartment was exactly as shown in photo's..Very good location walking distance to beach, shops, bars etc..Views amazing would definitely go back to this property with family or friends there is something for everyone and facilities in this apartment were ideal and they even had a shopping trolley which was perfect for essentials at shop and not having to carry heavy bags..Would definitely recommend this property.. This is the second time I stay in La Roca 209. And again it was more than perfect ! The appartement looks still new , very clean, very nice design, excellent Wifi, perfect location ! close to shops, bars and restaurants where you can eat / drink for a bargain. And even in December the weather was very nice and warm. Will be back next year ! 4 ludzie uznały tę opinię za pomocną. 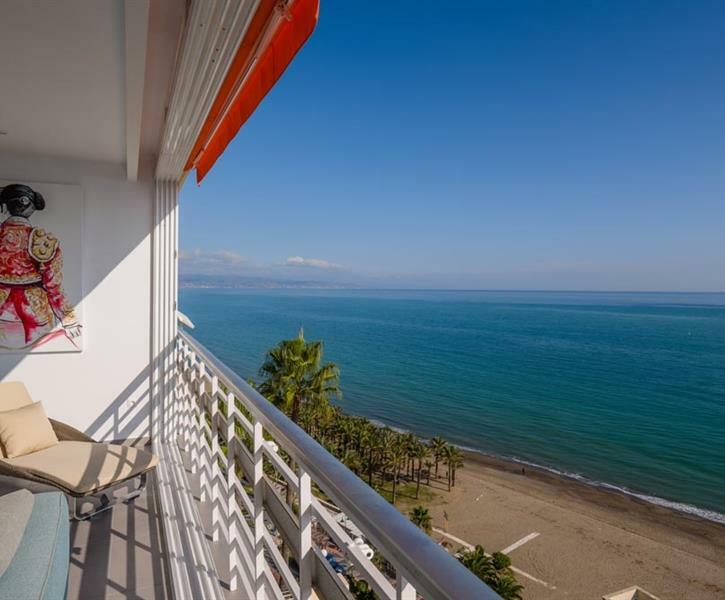 Very beautifull apartment with the best view over the sea and beach. Quiet, clean, modern, perfect beds. I booked the appartment with some friend and we were amazed by the great view when we entered the appartment. The location of the appartment is prefect, just at the beach, close the shops and easy to reach from the airport. Awesome appartment!